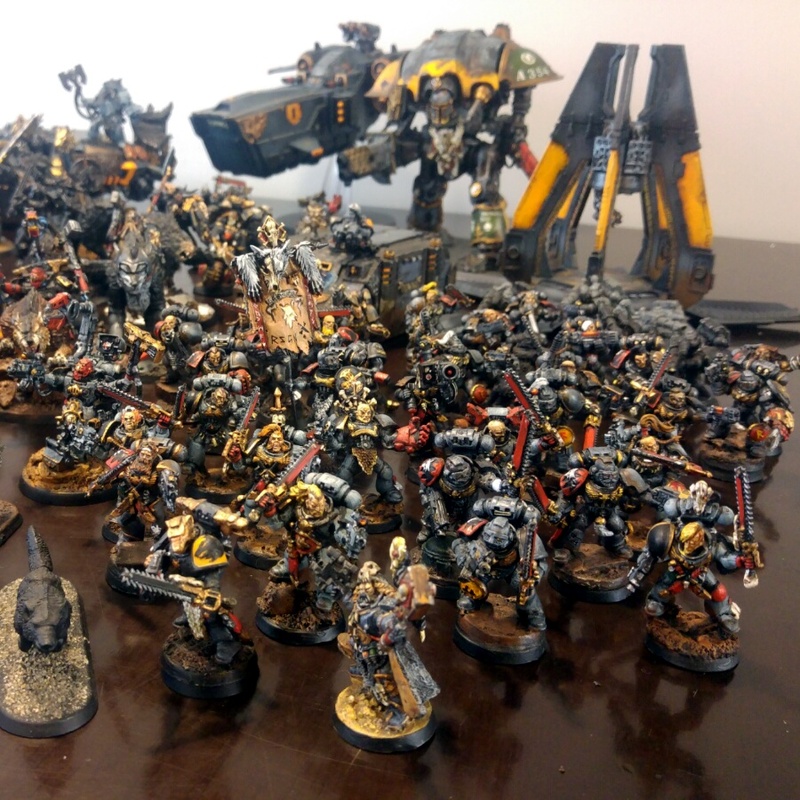 I just acquired a space wolf army. 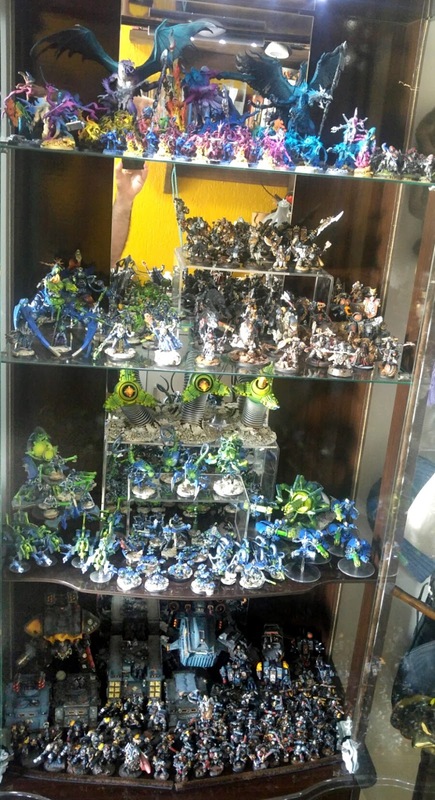 An old friend built this army. 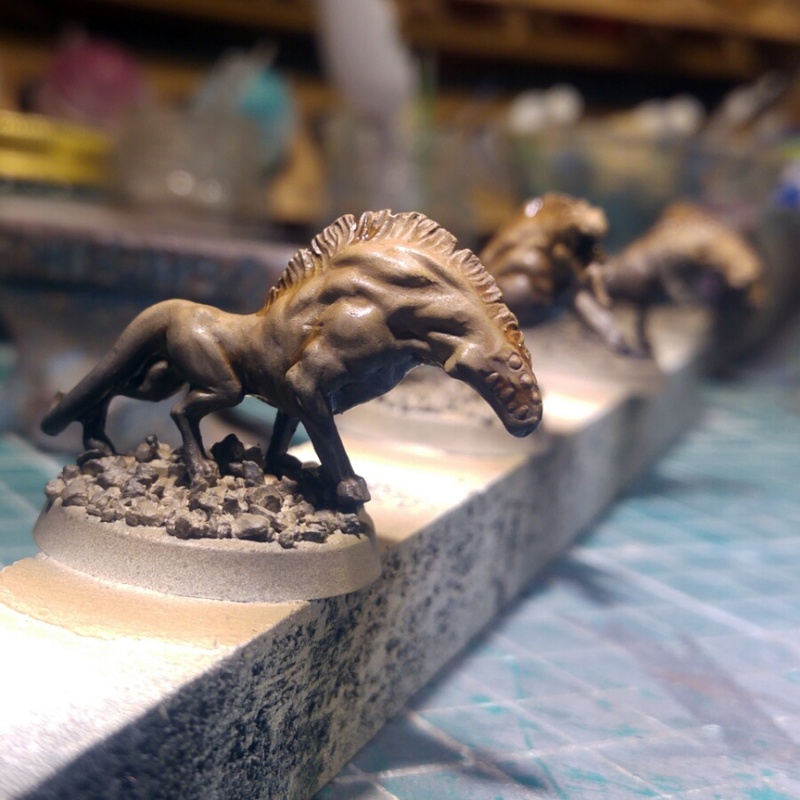 He shares the same passion I have for making a uniquye force, everything from his army is customized: From the kitbashed Wulfen to the crazy large thunderwolf cavalry, every piece is a kitbash on its own. 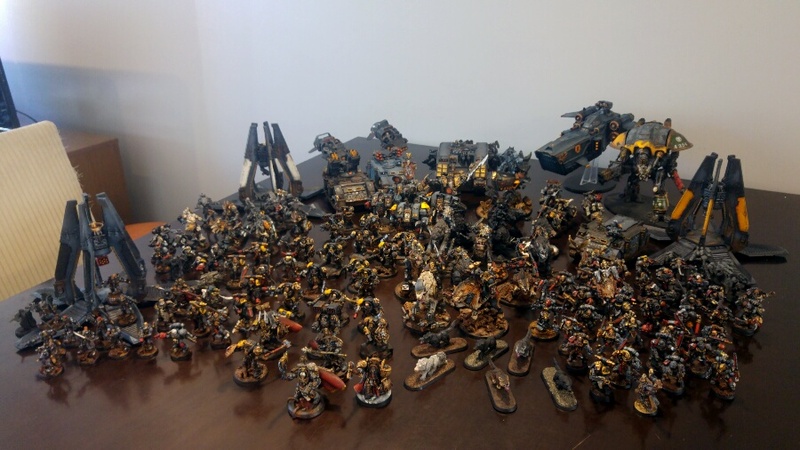 From what he tells me every non helmeted space wolf has a unique head, making each and every one of them a character in their own right. There are a few WiP models in the army so you can expect to see some space wolf figures showing up on my progress from time to time now. 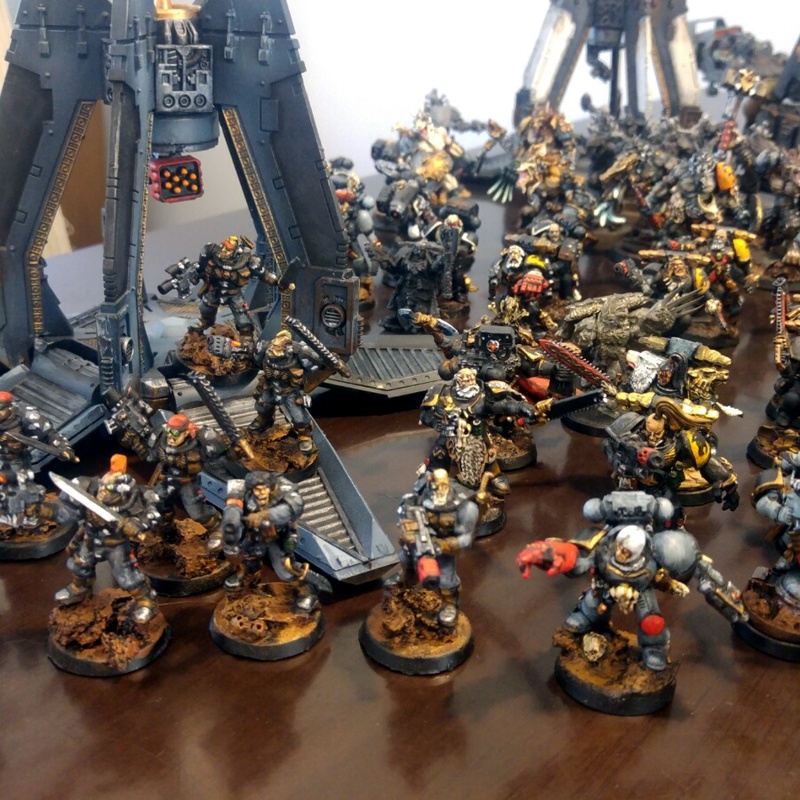 The bulk of the power-armor infantry. 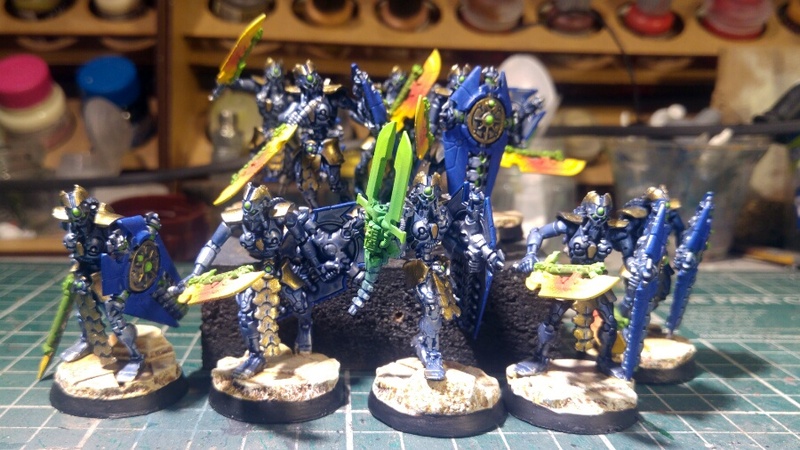 Every unit type is identified by the shoulder pad markings and/or unique backpacks. 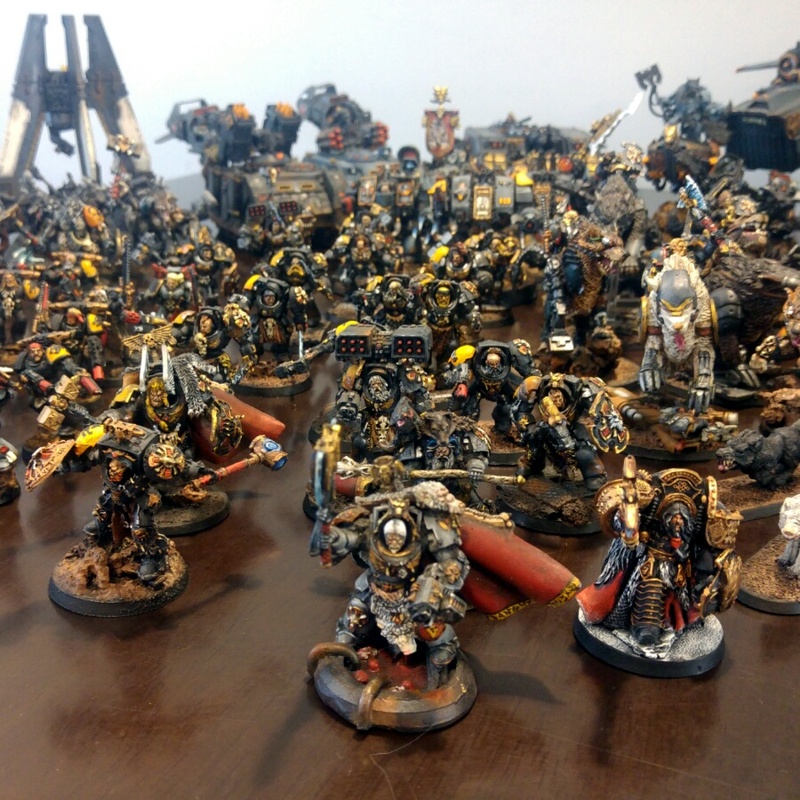 The terminators are a joy to look at with every single one having several customized bits and some very cool custom-characters. Nothing could've prepared me for what I would feel as I unpacked this thunderwolf cavalry... every model is unique and superbly done with custom bases (each base from an enemy faction) and the largest, meanest thunderwolves I've ever seen! I had no idea these came in such large sizes and they are a joy to behold on the table! 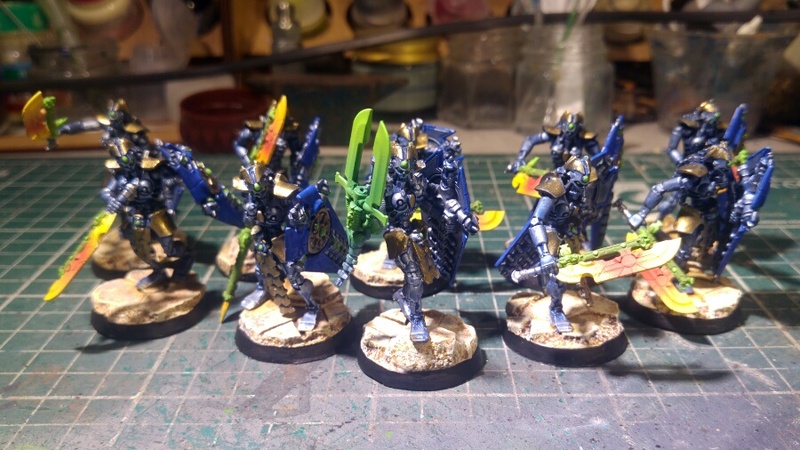 Some scouts and more power armor units and heroes. 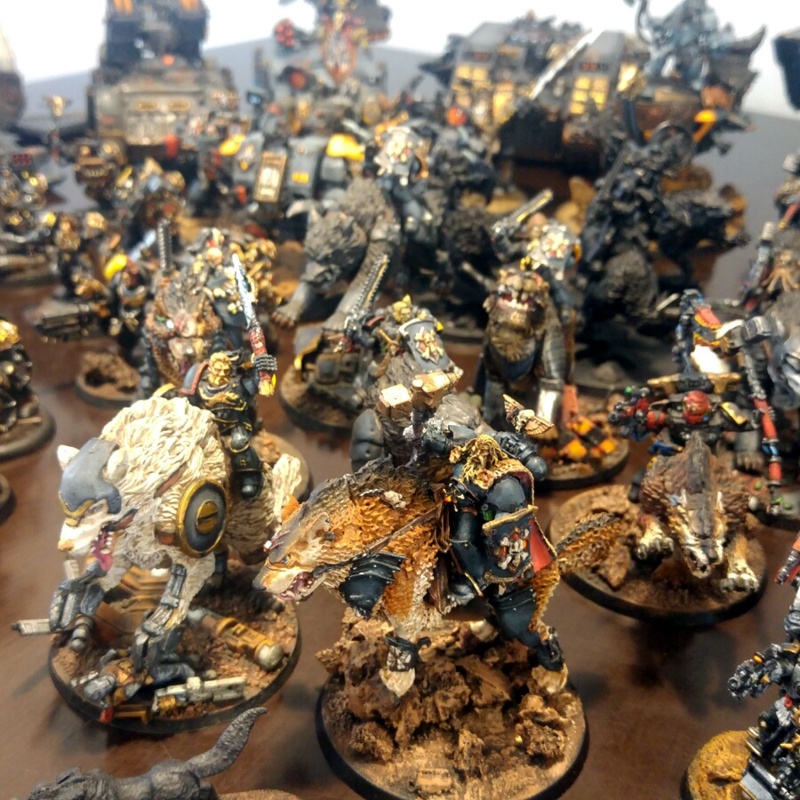 You can also glimpse the custom Wulfen in the background. 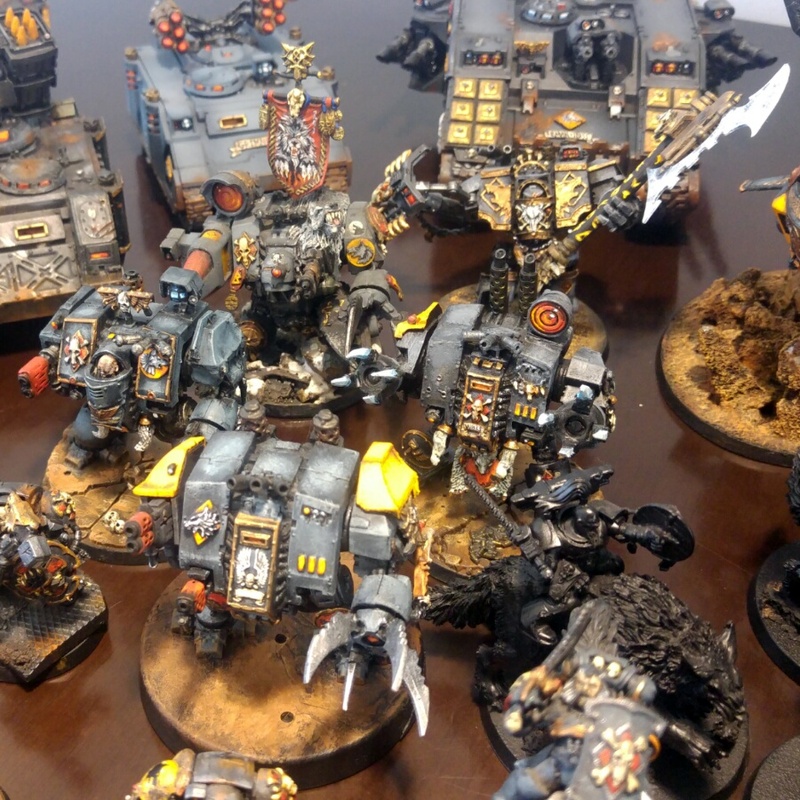 These stunning dreadnoughts use a mix of bits and parts from the whole space wolf range and beyond. 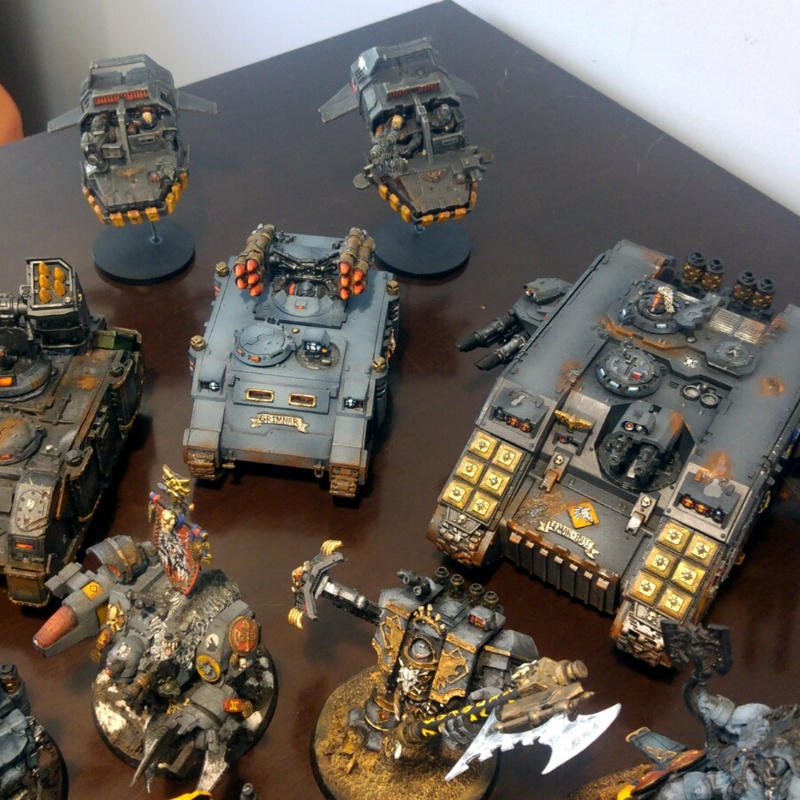 Although light on armoured support, the army still can hold its own with two rhino/razonback/whirlwinds and a mighty land rainder. 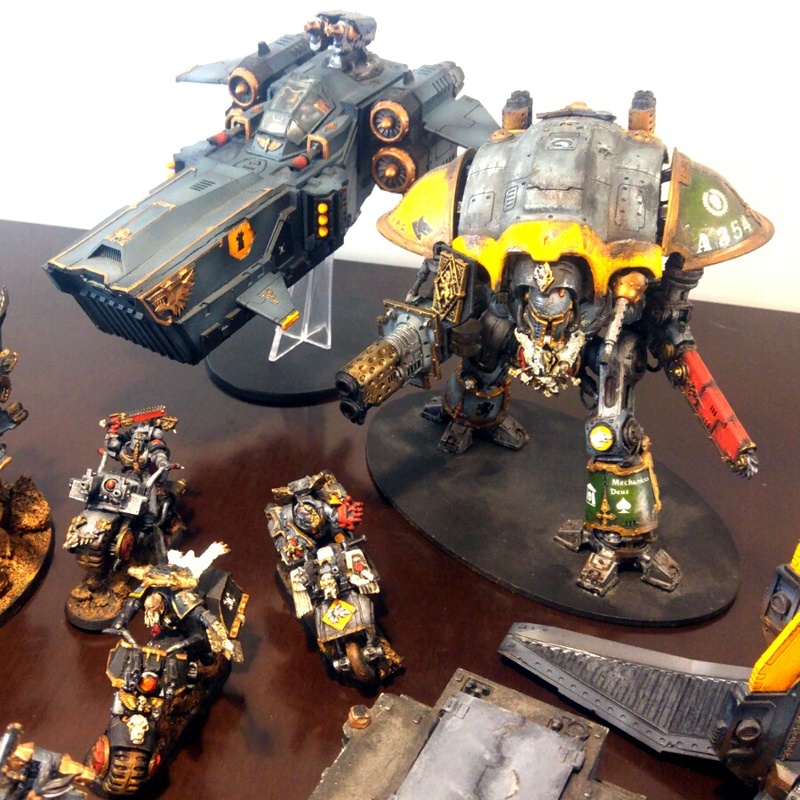 The knight titan supports the space wolf army as well as the cool-looking stormfang gunship. I'm thrilled to have such a large force ready-made and in such short notice. My early self-bought christmas gift and I can't wait to put them on the table! Old Man78 and ExaltedUrizen like this. 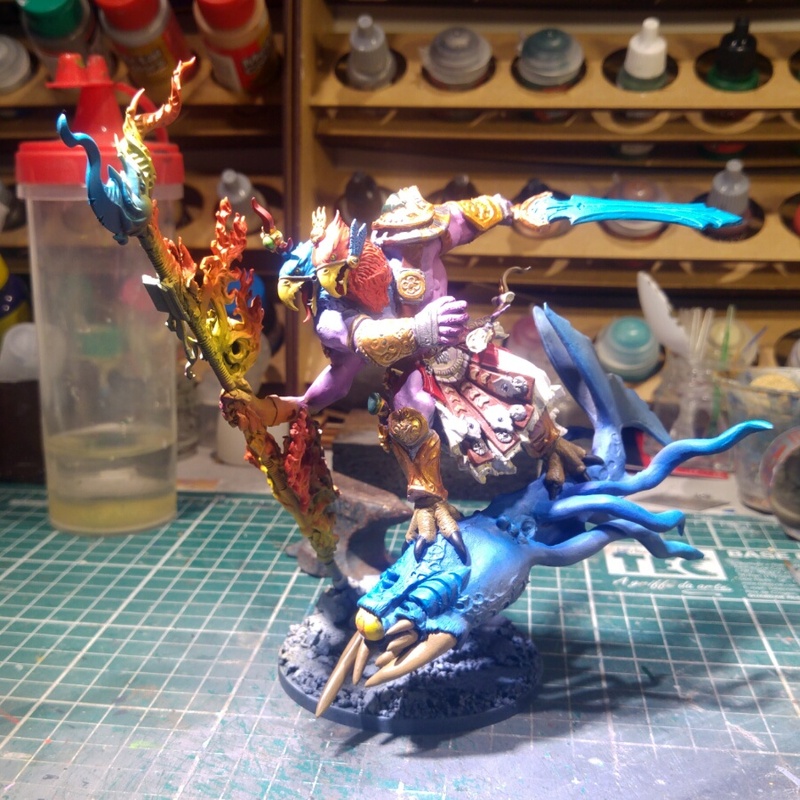 This model was exciting to assemble and paint. 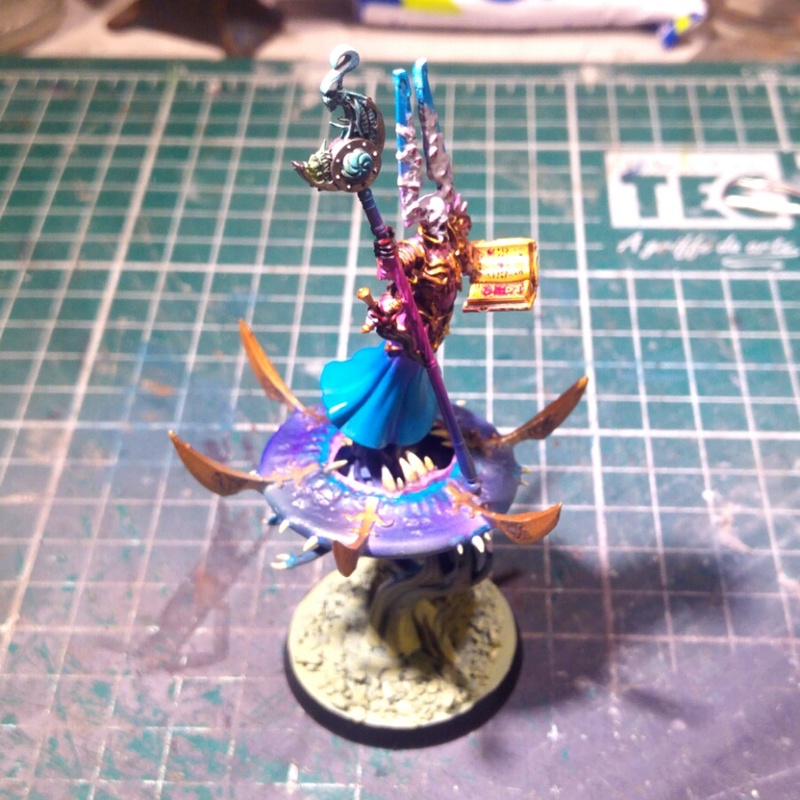 It's a deviation of the standard heroic scale from GW with delicate hands and thin arms more akin to infinity models. I hope you like it. 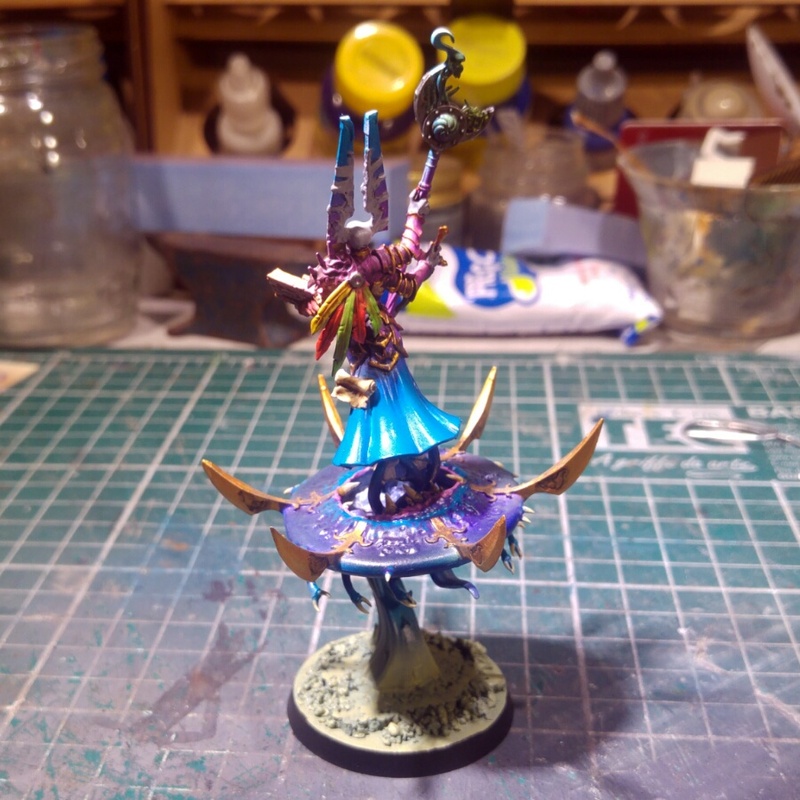 If you are a chaos player, definitely give it a go. 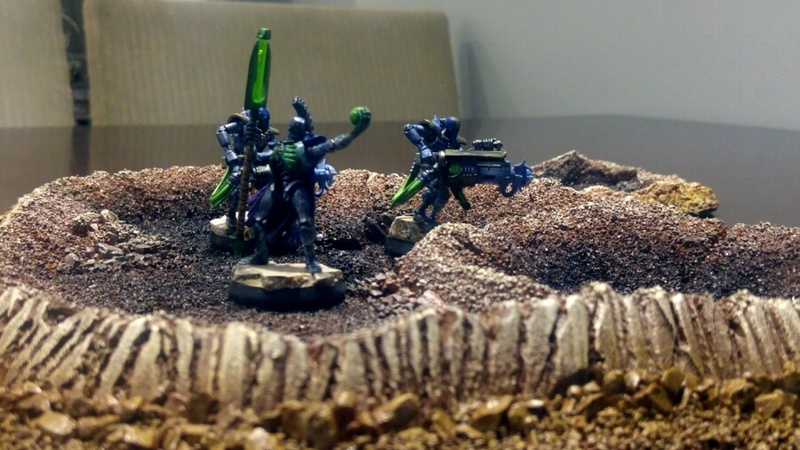 I've also written a battle report for a narrative campaign I'm playing with a friend. 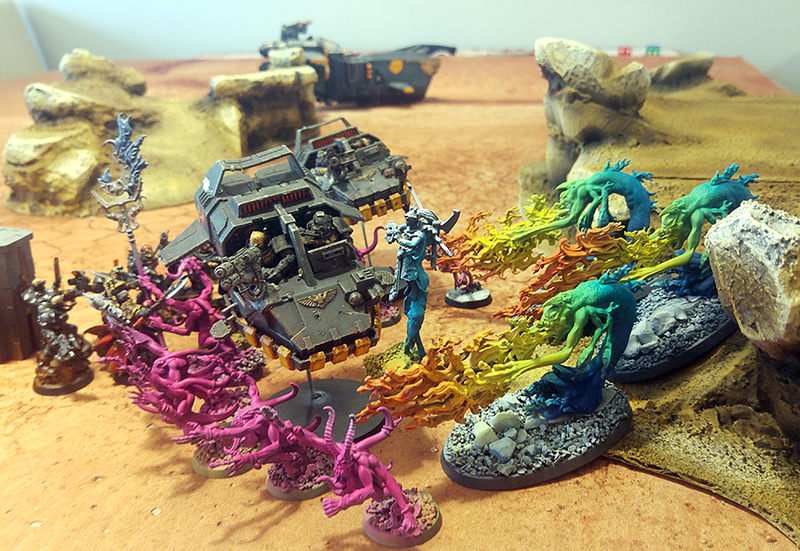 It puts a small space wolf recon team being ambushed by chaos demons. 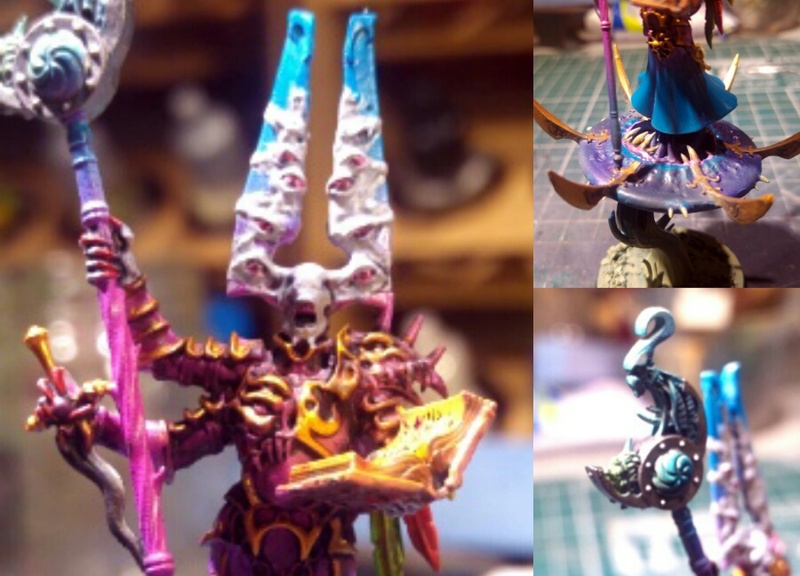 I've tried to write it in the old White Dwarf style with lots of flavor and lots of pictures, let me know what you think! 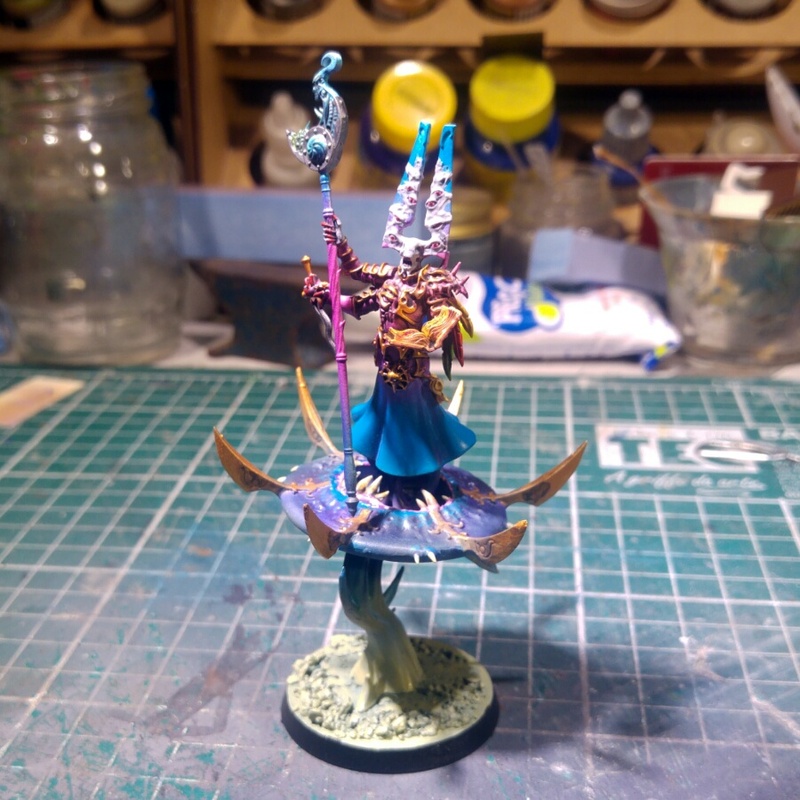 It's been ages since I have been painting this Tzeench Demon Prince but it just refuses to get to the next stage. 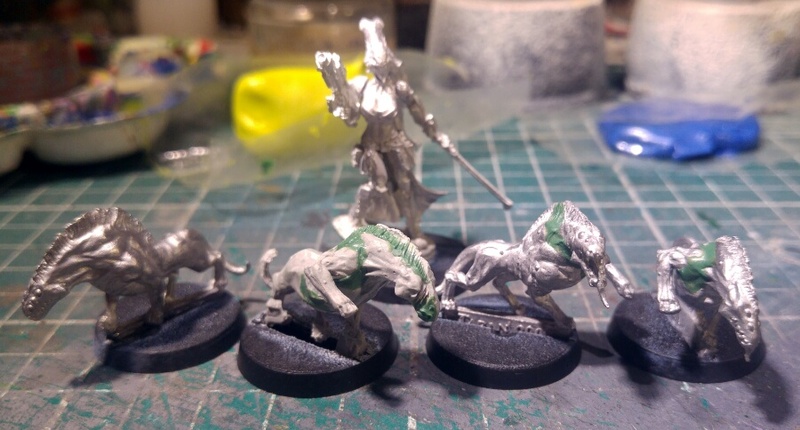 On the meantime I've also started working on some alternative gakis for my Morat. They are Lycals from the game eden. 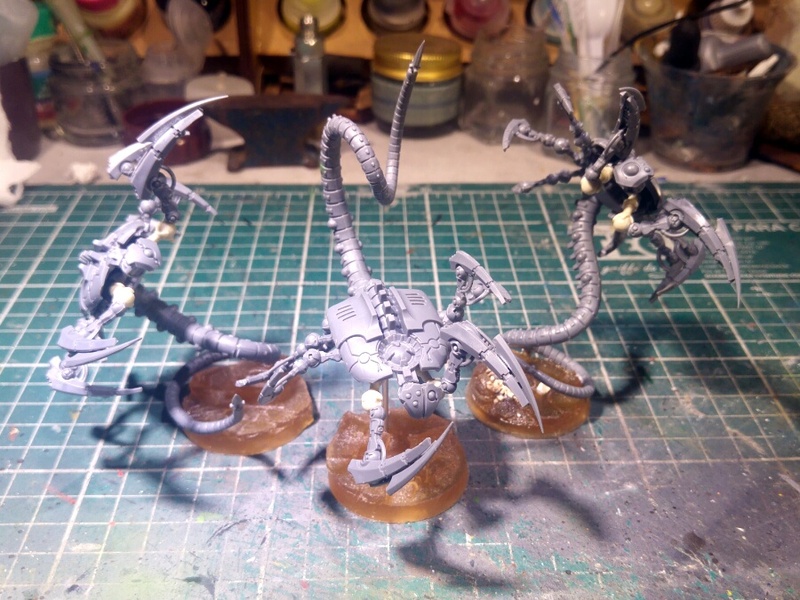 I've also had time to assemble these wraiths. Had some time to create these three blue foam pieces. 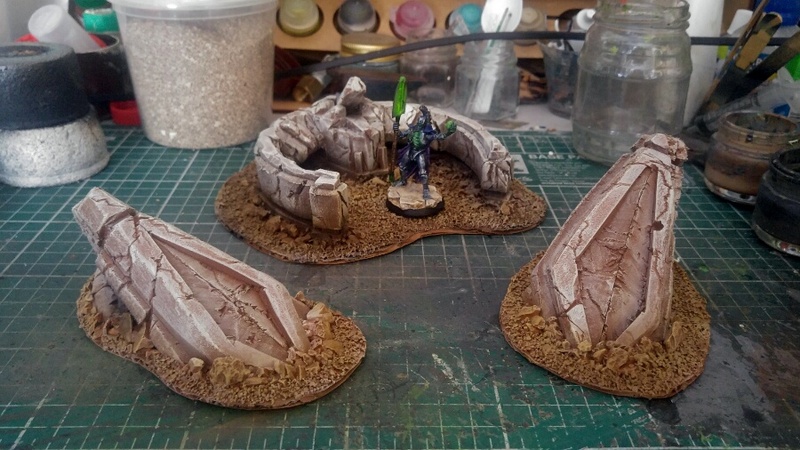 The central one was actually a failed attempt at making a Sentry Pylon for my army. I need better foam carving and cutting tools, a table cutter would be especially handy. 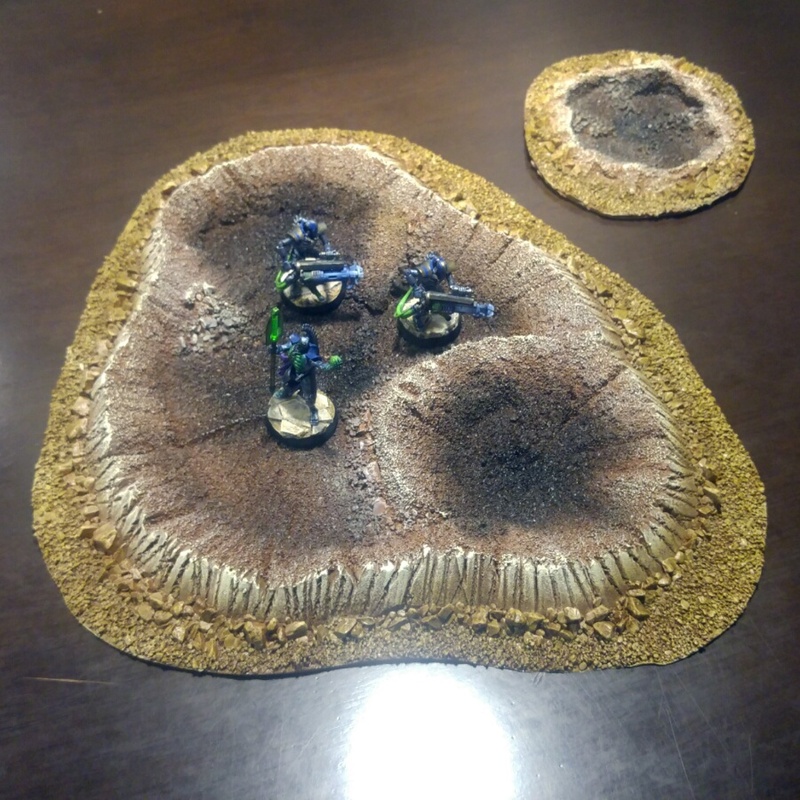 Did there craters in a day for a big campaign finale game. PretryPhappy with the results given the time frame. 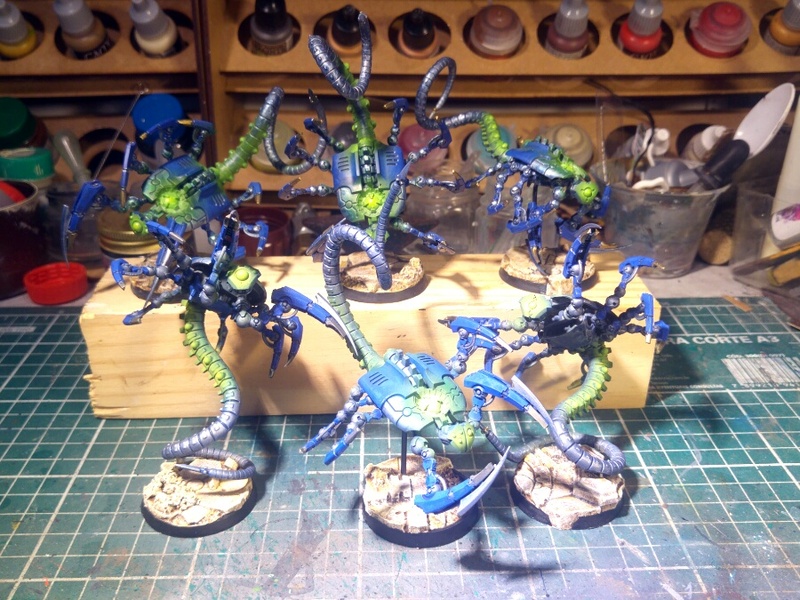 I also did three more Wraiths (front row) to boost up my defensive builds. Just back over your plog, great stuff in there, very creative creations and colour use, have some well deserved rep!